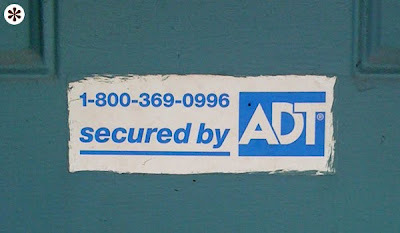 I like the idea that the company I might use for security has personality, and warmth. Like trusting a friend to watch my stuff. 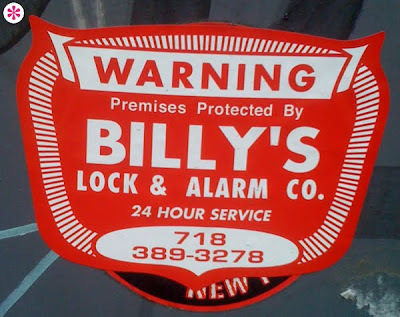 When I get home, my pal Billy is gonna get a lecture about apostrophes, though. Not entirely sh*tty, but totally devoid of any character or concept that might instill trust in the potential client. The bottom line? Absolutely Don’t Trust. Abrasively Discordant Tracking. Awfully Drab Typography. Another Design Turkey. Thanks to P*S* Reader and champion contributor Doug Hanshaw for the images. Is it the design of that apostrophe you don't like? 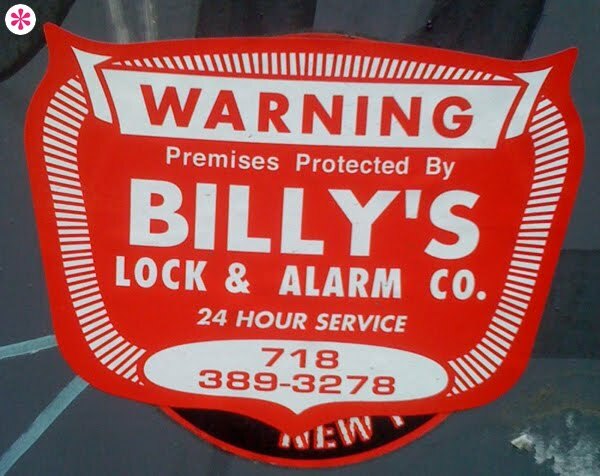 Because it seems like a perfectly legit use of an apostrophe to show possession. It's because it's an inch mark instead of a "proper" apostrophe? But some fonts only have the inch mark style ones. I like the warning banner and the rays, and that font (is it Avenir?) It all looks so reassuringly retro-sturdy. It's fairly obvious this sticker was painted around/over. I don't think that's the problem here. My point was that the design is drab and devoid of humanity.